Richard Samuel Reynolds, Sr., founder of Reynolds Metals Company International, located his company’s headquarters in a pastoral Richmond suburb in 1958. 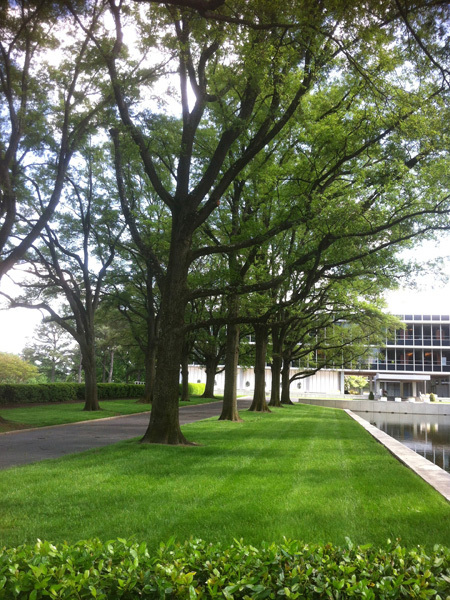 Landscape architect Charles Gillette and architect Gordon Bunshaft of Skidmore, Owings & Merrill were commissioned to design the Modernist corporate park. 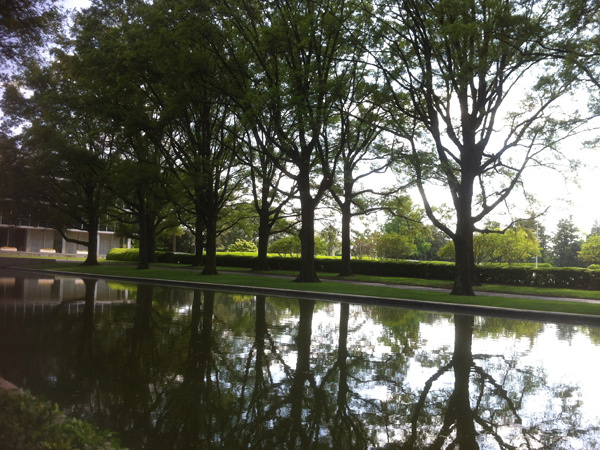 Gillette had worked on previous projects for the Reynolds family including gardens and mausoleums. 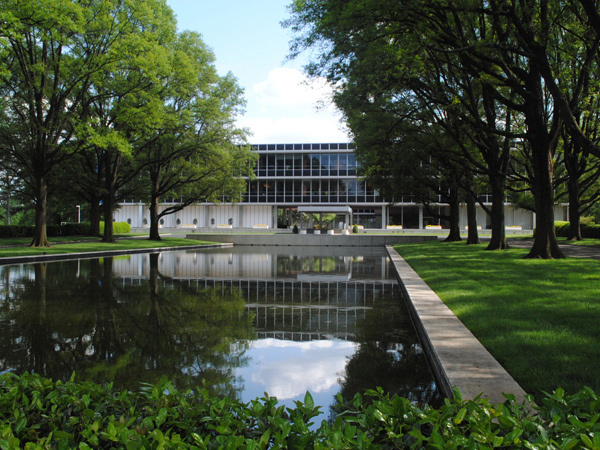 Situated at the highest point of the 121-acre property, two allées of willow oaks border a 250-foot-long reflecting pool fronting the four-story courtyard building. The pool serves as a reservoir for cooling and irrigation systems. 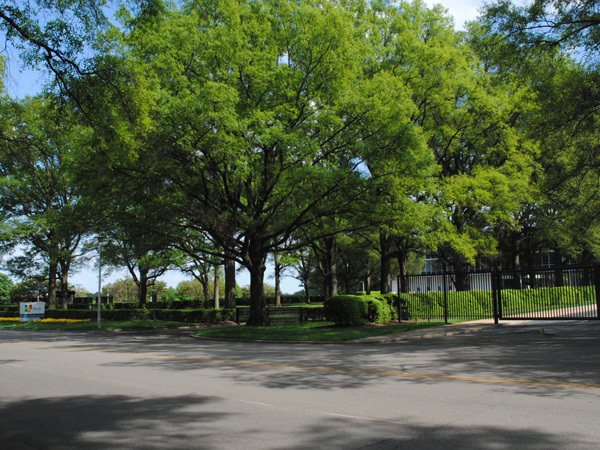 Parking lots, screened by yaupon holly hedges and planted with rows of crape myrtles, flank the allées. 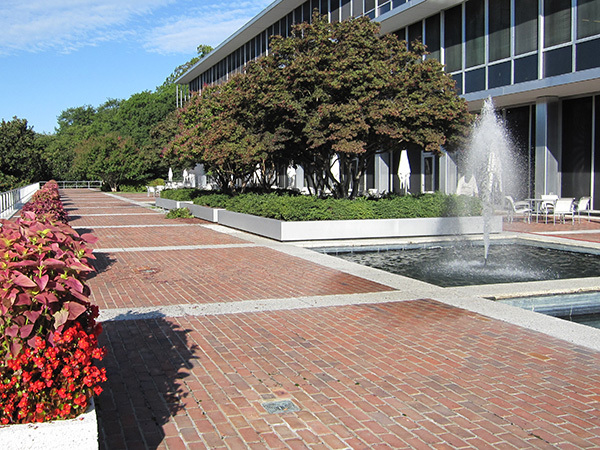 The building is fronted by a brick grid apron, which provides the setting for asymmetrical plantings of holly and other shrubs in addition to rectangular pools along a raised terrace. 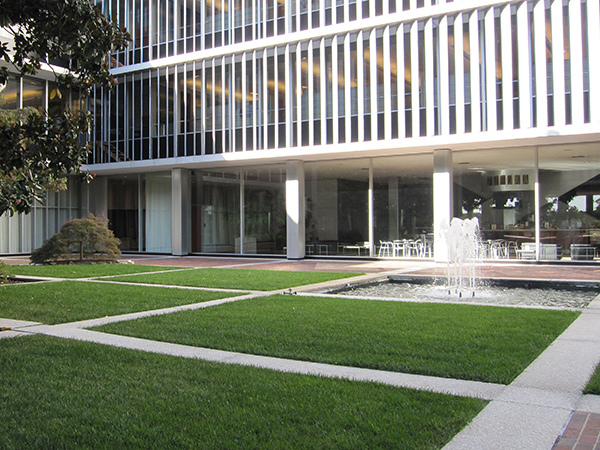 The glass and aluminum curtain walls of the building frame a 10,000-square-foot interior courtyard, into which Gillette transplanted a 40-foot-tall magnolia tree to accompany a fountain and planted squares within the grid. 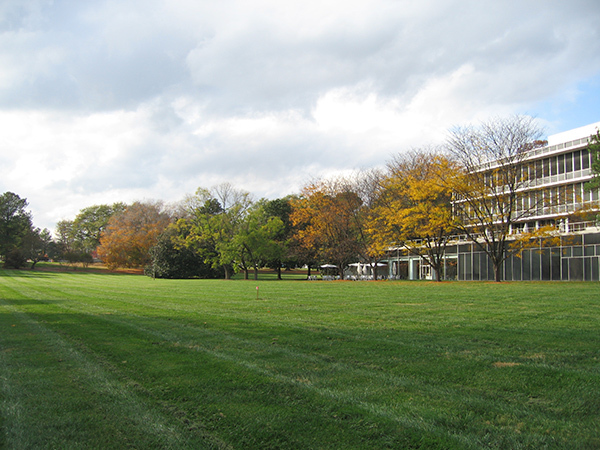 With parking concentrated to the north, the three other sides of the building open to an expansive lawn. 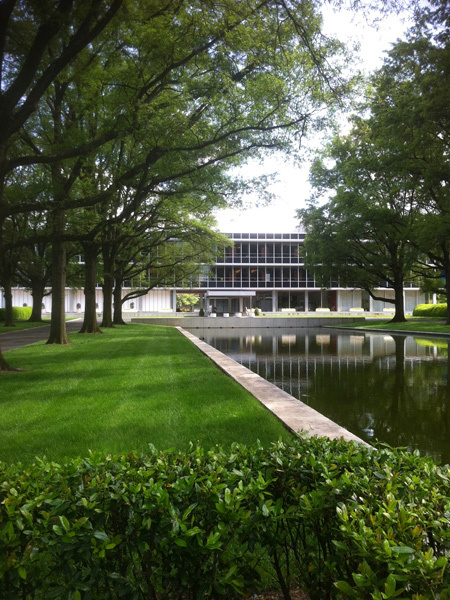 Masses of trees, including a specimen beech and live oak, line the perimeter and punctuate the interior of the lawn. In response to additional traffic, Timmons Group reoriented the entry drive to Broad Street and added a parking lot beyond the historic perimeter. 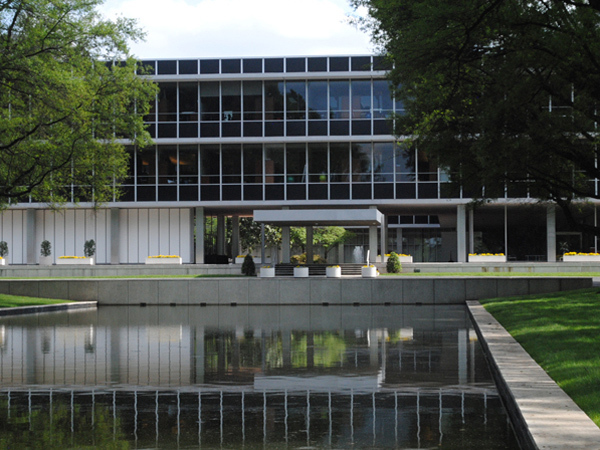 Reynolds Metals Company International Headquarters, purchased by the University of Richmond in 2001, was listed on the National Register of Historic Places in 2000.